Comcast really wants you to watch the highlights that were already spoiled for you 12 hours earlier. 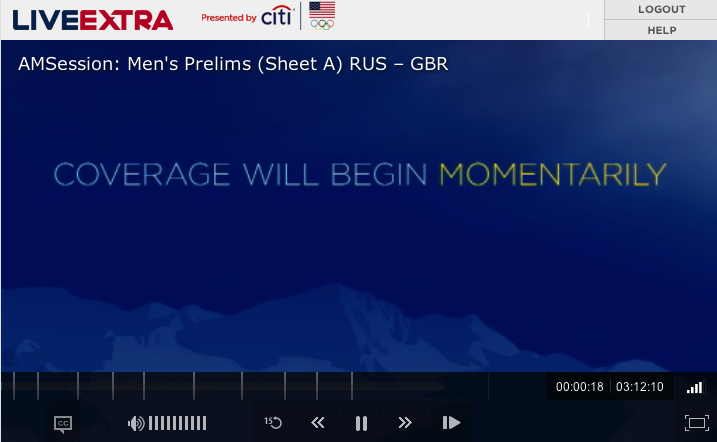 If you don’t like the idea of watching pre-taped, heavily edited rebroadcasts of sporting events that happened eight to 24 hours earlier (and which have probably been spoiled for you by the Internet anyway), NBC is letting some viewers of most cable providers stream all the events live online. Unfortunately, those with the most basic of cable packages apparently don’t count as far as NBC is concerned. Gigaom confirms that cable and satellite subscribers whose packages don’t include CNBC and MSNBC can not access the NBC live streams, even though little to no Winter Olympics coverage is being shown on those channels… and the live streams aren’t actually the same feeds as you see on the NBC channels… and the feeds not only have banner ads you can’t get rid of but are also interrupted at every opportunity by the same four ads that invariably begin whenever something interesting is about to happen. So this means that people who have Comcast’s Internet Plus package — the one that is the lowest cable tier and HBO — or its Digital Economy tier don’t have access to the streams, and most of them aren’t finding this out until after they try to verify their cable account via the NBC Olympics website or app. And the same goes for all the cable and satellite providers that have an arrangement with NBC for verifying streaming users. If your package doesn’t have CNBC or MSNBC, don’t expect to watch curling at 4 a.m. on your iPad. That is unless you have a friend willing to let you use her login, or use a DNS-spoofing service or proxy service to trick the BBC website into thinking you’re in the U.K.